The core funding grant supports six research programs and 14 shared facilities and services. This Cancer Center Support Grant extends the Center’s designation as “comprehensive” which denotes scientific excellence and the ability to integrate diverse research approaches in the fight against cancer. There are only 47 NCI-designated “comprehensive” cancer centers in the United States. UAB’s Center is the only one located in a six-state area. Most of the $29M is designated for sustaining core facilities, which are shared research resources that house state-of-the-art technologies and expertise that scientists could not afford through typical research funding. “This grant provides the basis for us to pursue excellence in all of the areas of our mission, including cutting-edge clinical care, translational research, education and the economic development of our community,” said Selwyn M. Vickers, M.D., FACS, senior vice president for Medicine and dean of the UAB School of Medicine in an article for UAB News. The Center has 350 physicians and researchers who receive over $92M in direct funding. The Center treats an estimated 5,000 new patients each year and provides ongoing care for more than 20,000 patients annually. The Center conducts more than 180 cancer-related clinical trials exploring various therapies, diagnostics and preventative measures. $8.5M in research funding from the NCI came in the form of 22 separate research project grants. The top award was $895,375 for a study meant to help to lower the risk of morbidity and mortality in populations at a high risk for Multiple myeloma (MM). According to the grant application, “The purpose of this study is to identify microRNAs associated with the presence of MM and its asymptomatic precursor states and to characterize the role miRNAs in regulating gene transcription.” Other research project grants included $503,784 for continued support of The Collaborative Human Tissue Network and $468,297 for a pediatric leukemia study. 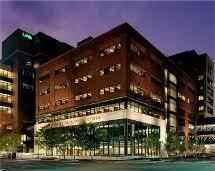 The UAB CCC is only one of over 60 centers that make up the UAB School of Medicine. In 2016 UAB received over $238 million in National Institute of health funding. On Thursday, September 21, 2017 Biotechnology Calendar Inc. will host the 18th annual BioResearch Product Faire™ Event on the UAB campus. Suppliers wishing to market lab products to these well funded researchers should plan on participating. 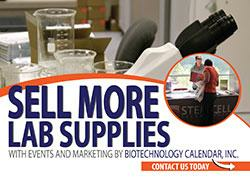 To find out how this biotech trade show event can help increase your laboratory product sales call (530) 272-6675 or click the link below. This bioresearch product faire gives researchers the chance to meet face to face with laboratory equipment suppliers to discuss their needs. 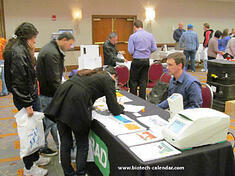 It's a great opportunity to see demonstrations of the latest in research products. Science professionals attend for free.